The family in this book has a very smart dog. It knows words. Words like 'Sit', 'Shake hands', 'Stay' and 'Come'. 'Lie down' works wonderfully if it means the dog can lie down on the family bed. 'Stop' doesn't work so well if there's a cat involved and the chance of a chase! 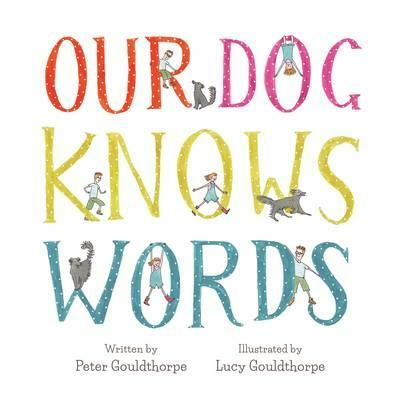 This father-and-daughter author/illustrator team have clearly created Our Dog Knows Words from their own dog-loving experiences. The result is a sweetly amusing picture book for the very young that shows just how much love, fun and mischief a dog can add to family life. After all, bath time is never boring when it involves a furry companion. And what could be better than kids and dog singing together? !